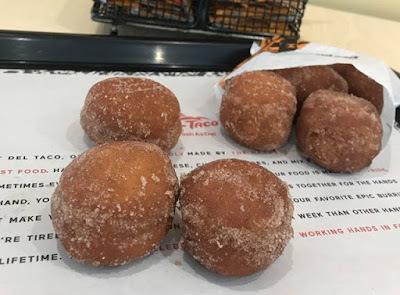 Del Taco adds donut holes to their Buck and Under Menu with the debut of new Donut Bites. The crispy donut holes come dusted with cinnamon sugar and costs $1 for an order of four. The new dessert is available all day and offers an alternative to rival Taco Bell's Cinnabon Delights, which cost more (two for $1) but include a cream cheese filling.